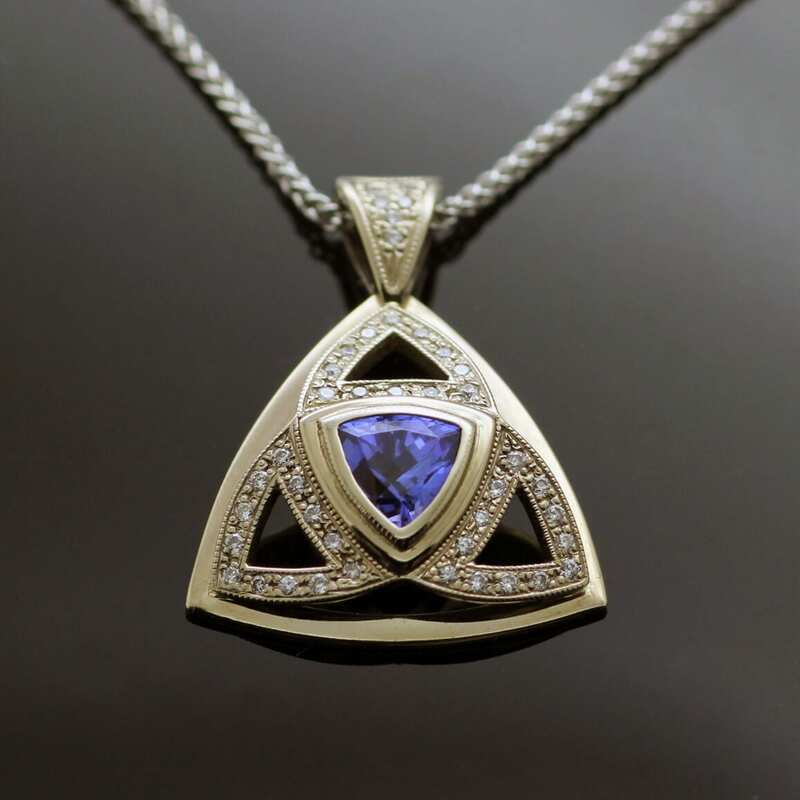 A unique, one of a kind pendant design created and expertly crafted by Julian Stephens from the finest and most precious materials to create an opulent, modern necklace. Showcasing a breathtaking Trillion cut Tanzanite precious gemstone in an alluring electric blue colour, surrounded with lines of flush set Diamonds that enhance the geometric shape of the Tanzanit centrepiece, which enhance the alluring shape and natural sparkle of these valuable gemstones. 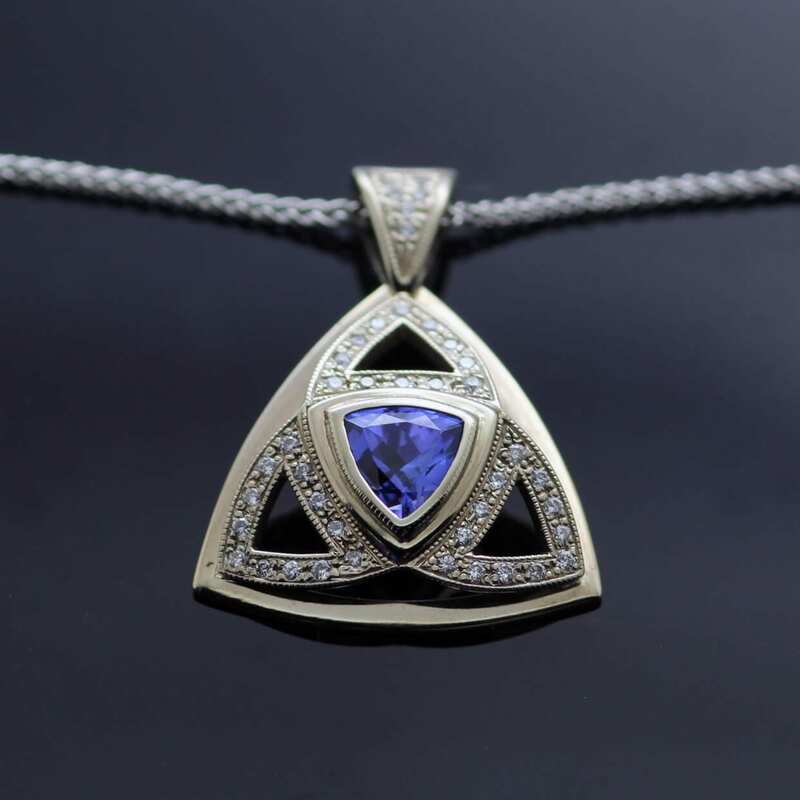 These exceptional stones are then set in solid 18ct White Gold in a design that mirrors the clean triangular lines of the Trillion cut stone to complete the icy beauty of this contemporary pendant design. This eye catching pendant is strung on solid 18ct White Gold modern Spiga chain and the pendant is finally hand finished with a high shine polish to the White Gold for a glossy and dazzling finish to the design. 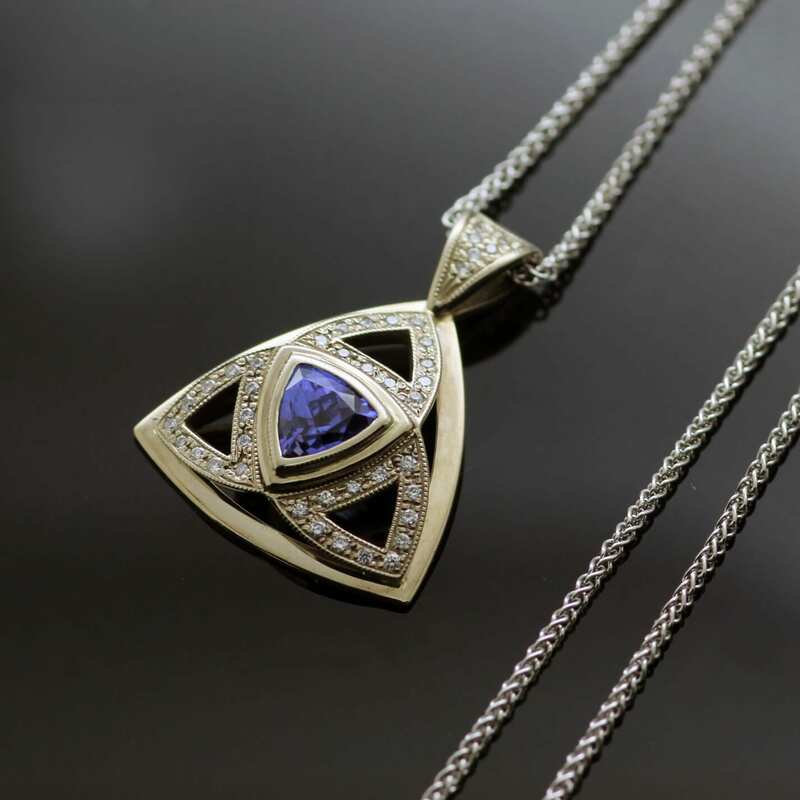 This gorgeous pendant is crafted with the utmost care and reverence for the fine materials used, and proudly bears Julian Stephens exclusive makers mark and standards hallmarks which indicate the brilliance and beauty of the materials used to create this stunning design.